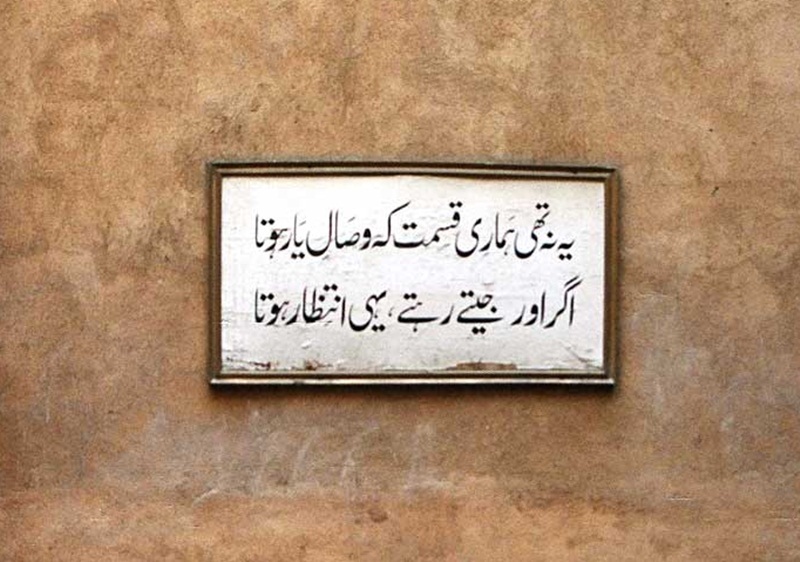 Mirza Ghalib’s haveli is a place that is considered to be Mecca for Urdu shayari Lovers that I am not. 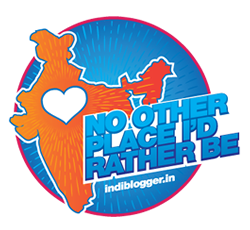 After a lot of suggestions and recommendations I decided to pay a visit to the Shayari Maestro’s original residence this time and what I came across was simply mesmerizing and I kept wishing for more. Mirza Ghalib was a person whose works was loved by everyone, from rich aristocrats to the poor folks. His writing had wit and tons of sarcasm that came from real life experiences and encounters. This Haveli is the place where he spent the last few years of his and yet this place is badly neglected. On talking to few shopkeepers outside it seems that not many know about this place in general, some simply drop here with a DSLR looking for something unique to capture and fans of his Shayari come here to pay an ode to him. No matter for what purpose people come here both leave disappointed. An old uncle told that this haveli was not in his times as it is today, it went through a lot of changes with time. In Delhi’s Jugadu way a part of this haveli is converted into a museum showcasing Ghalib’s old letters, utensils and his books on display. 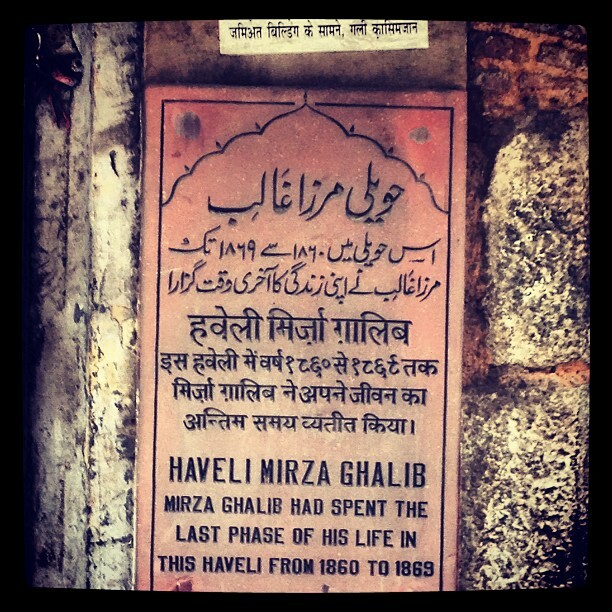 A list in Haveli tells that Mirza Ghalib loved Bhuna Gosht (so do I), he also loved Kite flying, Chess and Chausar. For someone who loves Shayari, those lines framed on wall or the portrait hanging on wall showing Ghalib with his signature hukka matters a lot. I can only feel disappointed on sad state of a literary icon in this country to this level. This places cries for attention or may be it just wants to be left alone.